For the first time, the world's colour authority bursts into the world of eye colour. Colour Riche Eyeshadows Quads are four expertly harmonized colours in a single irresistible golden case. 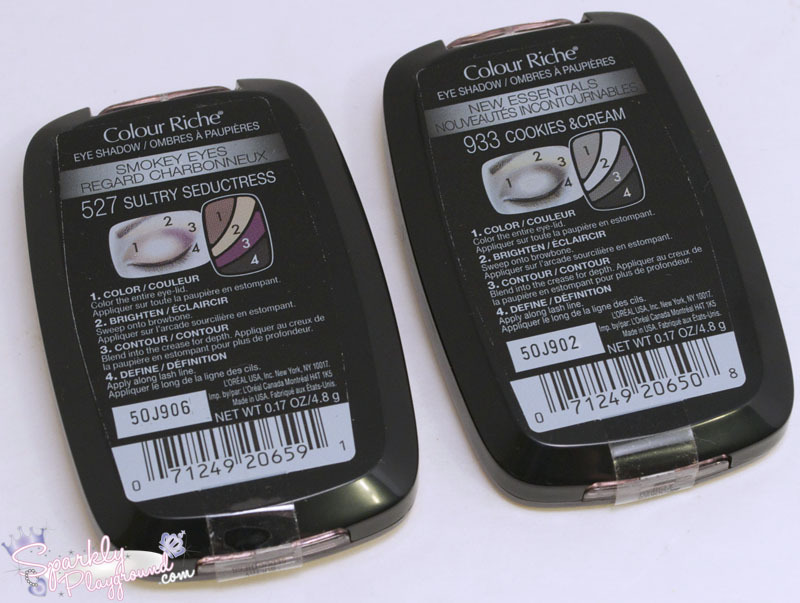 Each one is made up of micro-milled pigments to create an irreplaceable silky texture on skin. The secret of the smooth, layerable colour? Powder pigments are suspended in a crystal-clear base that ensures the colour stays incredibly rich and smooth - never chalky or powdery. Available in 20 quads with colours ranging from beautiful beiges and taupes to daring blues and purples to ultra-feminin pinks and greys, this is the secret to unforgettable eye impact. 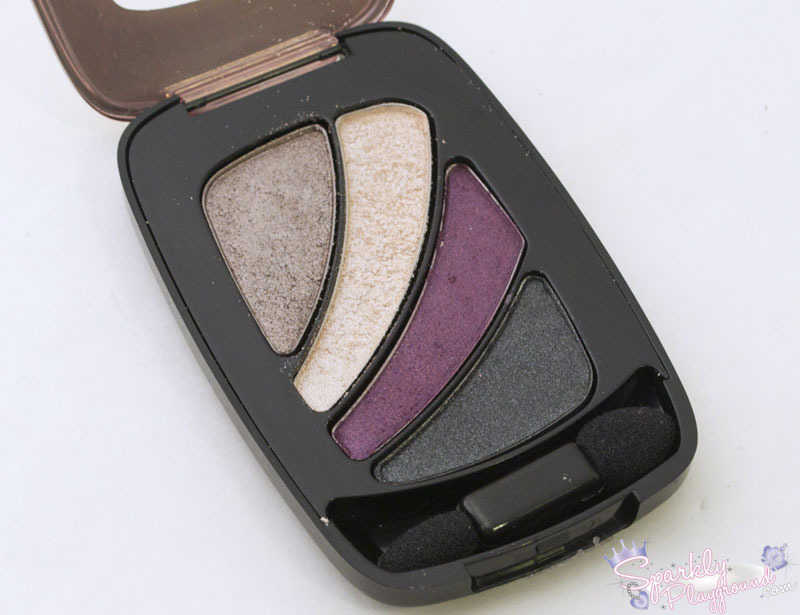 Due to popular demand from the L'Oreal Giveaway, where I asked readers to let me know what they would like to see reviewed first, here I present you my review for the L'Oreal Paris Colour Riche Eyeshadow Quad. Starting with the packaging, it comes in a plastic container with Gold finish touches. I find that the gold colour gives it a vintage, luxy look. However it was pretty beat and scratched up after 1 week in my beauty bag. By the way, the European packaging is very different from the American ones. 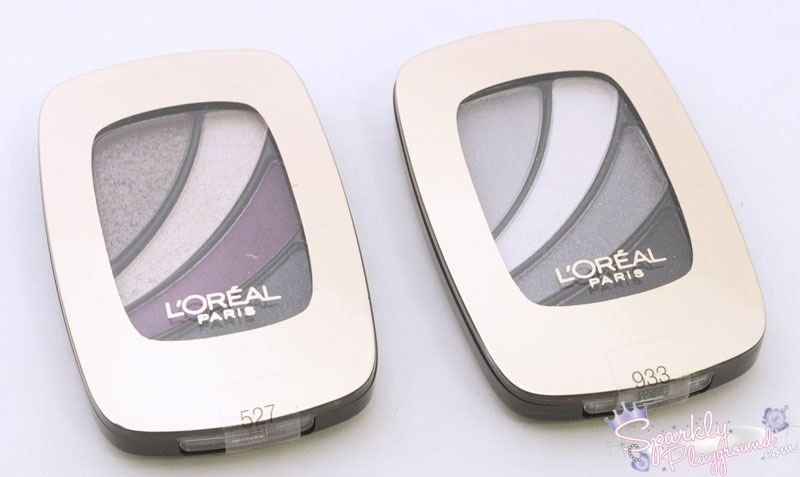 See photo below, I collected the pictures from L'Oreal Paris Australia and L'Oreal Paris UK. I'm disappointed with the suggested retail price at $11.99 when it retails for about $5-7 in our neighbouring country, USA. However, I'm sure if you catch it on a sale, it should hurt your wallet too much! 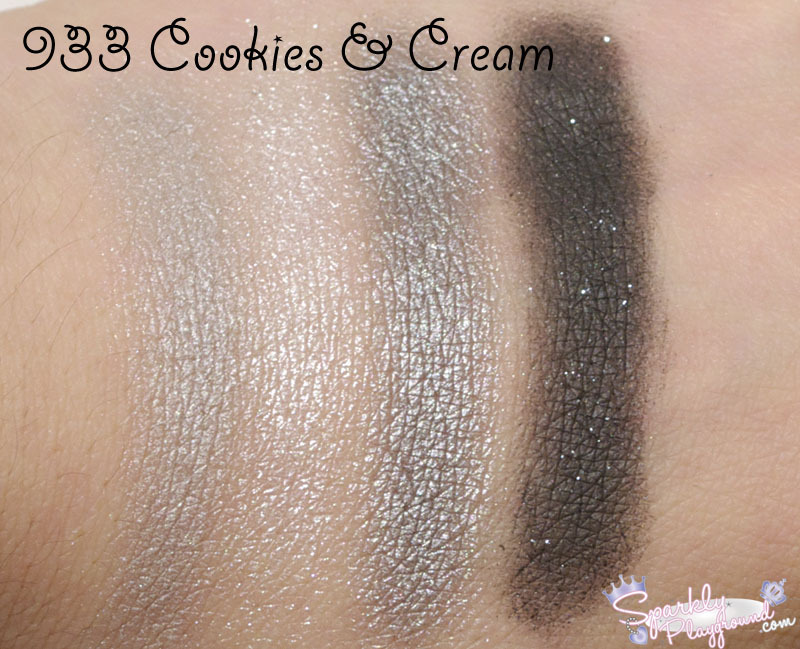 From just swatching, I didn't find the pigmentation that great. 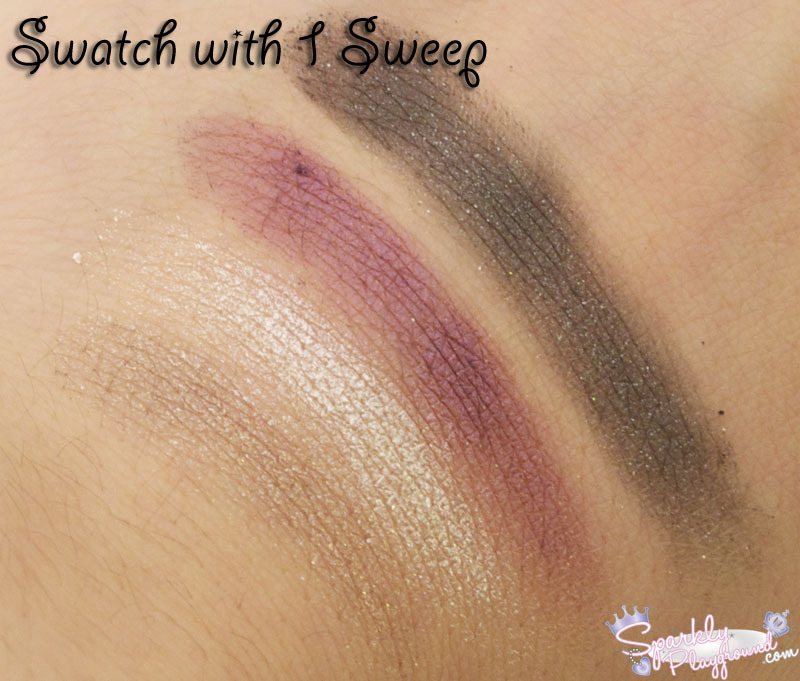 As you can see from the below picture, with just one sweep from my finger, it doesn't give much colour. I did not use any primers on the back of my hand. I find that it is best applied with a brush and luckily, it does come with a two-way sponge applicator, because otherwise girls with longer nails will have a little bit of trouble. I always ended up with two colours on my fingers when I was just trying to get one. It's difficult for me to say how I feel about the performance for all the quads in the collection because from just the two that I have, I think each colour inside the quad performs differently. Personally, I didn't enjoy how some of the colours are too shimmer. It doesn't show up great under flash or in videos. 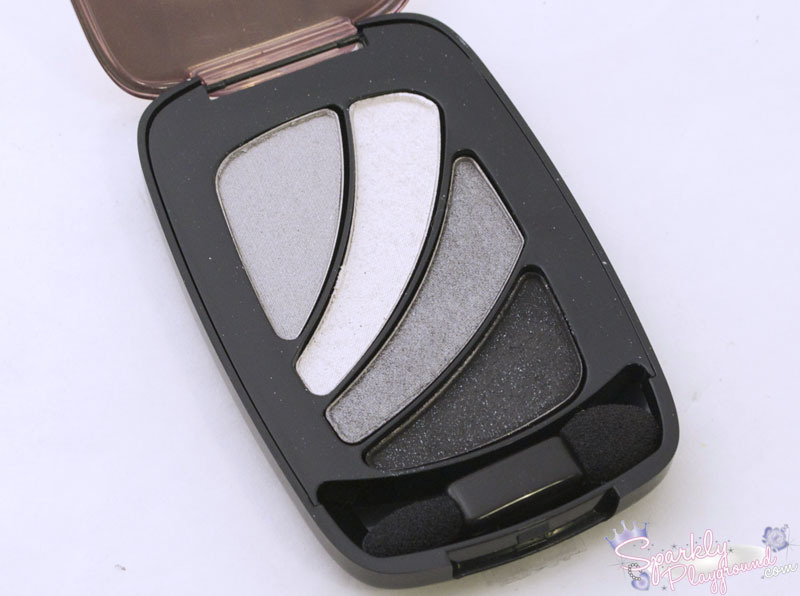 I used the below two palettes in my make up tutorial before here. It takes a bit of skills to really use the shadows and not let the fall outs ruin your look (thank goodness Lily does a great job at that in my videos). The colours blend easily which is great!